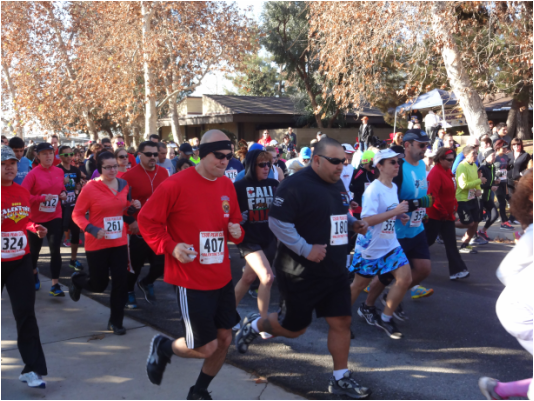 Make sure you sign up for the 2019 Valentine's Run. Go to the Registration page to register online or to download an entry form. Race day registration is available if you don't make the early registration deadline. Experience a flat and fast course on the beautiful CSUB campus. Compete for hand made custom heart-shaped awards. Enjoy healthy post-race snacks. Stick around for amazing prizes in the raffle. A lot of great people and businesses make donations to support this event so please check them out on our sponsor page. Last year's race was fantastic! We hope to have the same this year with you sharing in the fun.